Bill Kimball has been involved in many aspects of the Peterborough arts community, particularly in the areas of contemporary dance, theatre and performance. He has been instrumental in the creation of a number of live performance spaces in Peterborough, beginning in the early 1980s with City Stage (a performance space aligned with Artspace that later became the Union Theatre) and continuing to the present with various renovations to the Market Hall. 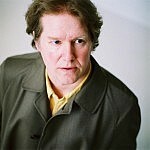 In 1994, Bill created a nationally recognized dance presenting program called Peterborough New Dance, which later expanded its mandate into other forms of performance and became Public Energy, a name which reflects his desire to integrate the work of contemporary artists into public life as much as possible.